» Plant % cover by functional type for the ITEX CO2 flux survey plots at Toolik, Alaska; Abisko, Sweden; Svalbard, Norway; Zackenberg, Northeast Greenland; Anaktuvuk River Burn, Alaska and Barrow, Alaska 2003-2009. Imnavait Creek, Alaska 2004: Cover estimates were made once on the 15 flux plots along the topographic sequence of the west facing slope of Imnavait Creek catchment. 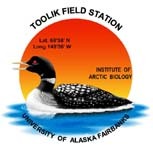 Toolik Lake, Alaska 2004: Cover estimates were made once on the 20 flux plots in treatment (N +P) and control blocks of the LTER terrestrial fertilisation experiment at Toolik Lake, including the moist acidic tussock, non-acidic tussock, non acidic non-tussock, inlet wet sedge and heath sites. Abisko, Sweden 2004. Cover estimates were made once on the 11 plots at the Stepps site, 13 plots at Paddus and 12 plots at Latnjajaure. Abisko, Sweden 2005. Cover estimates were made on 15 flux plots at the Stepps site each time flux measurements were made (3 times through June/early July and once in mid August). Svalbard 2005. Cover estimates were made once on 41 flux plots at various sites in Adventdalen. Zackenberg 2006. Data were collected on 35 1 x 1m plots and 25 0.3 x 0.3m plots across a range of vegetation types. 13 of the 0.3 x 0.3m plots were located within 1m x 1m plots (identified by plot name with suffix "b1, b2 or b3"), the remainder were independant of the 1 x 1m plots (B14-25). Measurements were made from 8 July through 1 Aug 2006. Toolik, Alaska 2009: Data were collected on nine 1m x 1m plots, three in each vegetation type. Vegetation types included moist acidic tundra (MAT), dry heath (HTH) and wet sedge (WSG). Each plot was measured at approximately 2 weeks intervals from mid-June to mid-August 2009. Anaktuvuk River Burn, Alaska 2009: Data was collected on five 0.7m x 0.7m flux plots along a burn severity gradient during mid-June 2009. Barrow, Alaska 2009: Data was collected on thirteen 0.7m 0.7m flux plots along a moisture gradient during late-July to early-August 2009. We estimated absolute percent cover by species for each 1m x 1m flux plot (ie total cover can be &gt; 100%). In 2004 we split the flux plot into 25 sub plots using a grid, we then estimated % cover in each of the sub plots individually and calculated an average. In 2005, 2006 and 2009 we used the same 1m x 1m grid but counted running totals of percentages of each species in squares 1 thru 25 (only the total cover for the flux plot is given). For the 0.7m x 0.7m plots we used a smaller version of the same grid. For the 0.3m x 0.3m flux plots we estimated cover once for the plot as a whole. Where many graminoids were growing together it was often difficult to judge the individual percentages, so only the total for the growth form is given; the main species present are listed in the comments column. COMMENTS: N.B The category GRM is for 'graminoids' i.e. species growing together whose cover could not be estimated separately as grass or sedge. A plot can have 0% GRM cover and 25% grass cover if only grasses are present. To find total graminoid cover for a plot sum G + S + GRM. Bay, C. (1998) Vegetation mapping of Zackenberg Valley Northeast Greenland. Danish Polar Center. Street, L.E., Shaver, G.R., Williams, M., van Wijk, M.T. (2007) What is the relationship between changes in canopy leaf area and changes in photosynthetic CO2 flux in arctic ecosystems? Journal of Ecology 95: 139-150. Williams, M., Street, L.E., van Wijk, M.T., and Shaver, G.R. (2006) Identifying Differences in Carbon Exchange among Arctic Ecosystem Types. Ecosystems, 9, 288-304. Version 4: Updated LTERNET Data Access server proxy link for Excel and comma delimited data files. Changed from knb to das in url. Version 5: Added Toolik and Barrow 2009 data. Changed file name from 2006 to 2009. Added column for "unclassified" harvested plant material. Version 7: Updated metadata form (with sites sheet). CH March 2013.